Marsha B. Sauls, Ph.D. earned her Doctorate in Counseling from Georgia State University. She is Licensed as a Psychologist and a Marriage and Family Therapist. Dr. Sauls has been in private practice for over 15 years. She is the Owner and Director of the Atlanta Network for Individual and Family Therapy which is a group of independently practicing Psychologists who have provided Family Therapy and Consultation in the Southeast since 1988. Dr. Sauls currently serves as a member of the Georgia State Board of Examiners of Psychology. 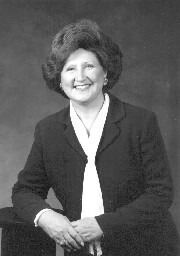 She is a past-president and fellow of the Georgia Psychological Association where she also has served as chair of the following committees: Legal and Legislative (3 years), Professional Standards (3 years), Ethics (1 year), Membership (1 year), Minority Affairs (1 year), and the Family and Children's Division (1 year). Dr. Sauls is a member of the American Psychological Association from which she received the Carl F. Heiser Award in 2001 for legislative advocacy on behalf of psychology. She is also a member of the American Academy of Family Therapy. Dr. Sauls is a Clinical Member of and is designated as an approved supervisor by the American Association of Marriage and Family Therapy. As a Psychologist practicing Systemic Family Therapy, Dr. Sauls sees people experiencing problems as a combinations of the stresses in the environments in which they are currently living. In working with people she believes it is important to consider the life cycle stages they are going through in their personal lives, families, relationships, and careers, their family of origin issues, their cognitions and their physical health and well being. Dr. Sauls provides many seminars and presentations to the community about family life issues. For her pro-bono work with refugee families in the Atlanta Community Dr. Sauls was given an Award of Recognition by the Georgia Mental Health Association in 1991 and in 1992 an award from the Clinical Division of the Georgia Psychological Association. In 2001, she was presented the Carl F. Heiser award for legislative advocacy on behalf of Psychology. Dr. Sauls is an approved provider for many insurance panels. Call the 1-800 number on your insurance card and ask if Dr. Sauls is a provider. Some insurance companies also pay out of network rates. They can advise you of these when you call. Road Rage: Why Can Atlanta Drivers Be So Rude?